One of the potential heavyweights of the global ebook market is throwing in the towel. I have just learned (Thanks, Laura!) that Samsung has officially announced they have retired the Readers Hub (aka Samsung Books) app, and replaced it with the Kindle for Samsung app which launched last month. 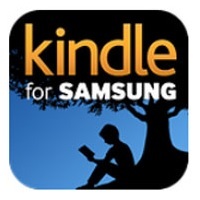 The Kindle for Samsung app is available in 90 plus markets (far more than Samsung Books), and in addition to the Kindle Store it offers Samsung customers special deals including one free ebook each month. Samsung actually retired the Samsung Books app last week, but the closure has gone unreported until today. Samsung will be shutting down their ebook platform on 1 July 2014, and readers will lose access to all of their purchases. Given Samsung's years-long investment in ebooks, this news comes as a surprise. But in light of the fact that Samsung and Amazon announced a co-branded Kindle app last month, today's news could also be seen as other shoe dropping. Following Sony's closure of the Reader Store, Samsung is the second major device maker to given up on the ebook market in the past month. Sony handed their customer accounts to Kobo, but Samsung is simply going to walk away from their customers and tell them tough luck on the content they bought. Update: According to a Samsung rep, Samsung will provide a Kindle Store credit for all ebooks bought in Readers Hub in the past year. That's not great but it is better than nothing. Thanks, J! This is a sad exit for a company that I described last year as potentially being the next iBooks. Samsung has been interested in ebooks since at least January 2010, when their ereaders were revealed at CES 2010. Samsung showed off 4 ereaders, including a 5", 9.7", and a pair of 6" models, but unfortunately between the iPad and the drop in ereader prices in mid-2010 those devices never had much success on the market. After those devices failed, Samsung turned their focus towards selling ebooks on tablets and smartphones. Samsung first partnered with Kobo in early 2011 and released their own branded reading apps for Windows Phone and Android, but later broke ties with Kobo in June 2012. In the 21 months since breaking up with Kobo, Samsung has built up an ebookstore with 2.3 million titles at last count, and in January 2013 they released a new ebook app which supported Epub3. Unfortunately, that app was never very widely available. In the US market, for example, the Samsung Books app was only available on a a handful of the dozens of Samsung smartphones and tablets on the market. Samsung is hands down the second largest smartphone and tablet maker in the world, and if they had put real effort into their ebook efforts they could have been a major player in this market. Samsung could have been one of the top five, but from what I have heard they never really invested in ebooks. But even though Samsung never amounted to much in ebooks, their departure could have a significant effect. Samsung makes hundreds of millions of smartphones and tablets every year, and now some unknown percentage of those devices will ship with the Kindle for Samsung app. This could give Amazon a presence in markets that they previously were unable to pursue due to a lack of time, personnel, or money. In fact, I would be terribly surprised if Amazon doesn't end up with a growing market share as a result of this deal. Well Rats! I wasn’t interested in buying books from Samsung, but I really liked what they had done with the readers hub. Amazon would do well to copy some of those features over for the Samsung Note devices. Free hand annotation was the big stand out for me. I was hoping the US would get a bug free version. Oh well. Truthfully, Samsung should probably stick to throwing out hardware as fast as possible. They are horrible (with good ideas but lack polish and follow up) on the software end. I’m one of the few people who ever had titles in there. Sold… some, distributor to them is up around 50% from Feb. even without Samsung. Readers Hub was a great place to put up a free (tamish) book and score free marketing for direct sales. That’s all I can really say about it, except it was nice to see free books going to folks in India or wherever. I guess I’ll find somebody who distributes to flipkart for that fix. Do I understand correctly that Samsung’s customers will lose all the books they had purchased? Won’t this make users of online bookstores (or should I say libraries?) like Amazon think twice about spending a lot of money for books that they may lose at any time? This is hardly the first time this has happened, and it won’t be the last. So far no significant public backlash, though. It will make people think twice about spending money on ebooks with any company that isn’t in it for the long haul. That will only strengthen Amazon (and possibly Kobo, in some markets). The problem is that it’s only obvious that a company isn’t in it for the long-haul after the fact. Fifteen years ago, Microsoft looked to be in it for the long haul – Reader was the Kindle app of its day. Ten years ago Sony laid the groundwork for the modern ebook market with the launch of the first dedicated e-ink reader. I suspect I’m not alone when I say “Samsung had a eBooks app/store?” Huh. Who knew? They did their best to keep it a secret, yes. For all book purchases made in the last year through Readers Hub/Samsung Books, Samsung will give an Amazon gift card in the amount purchased (regardless if the content was read or not). Hardly saying ‘eat it’ to any customer. Samsung Books will retire globally, with the exception of certain Asian markets, like Korea. The Kindle for Samsumg application will eventually be available in 90 countries with a free book per month for Samsung users. Jonah, is that stated in the FAQ or elsewhere on the website? I didn’t find it, and I would have mentioned that if I had. The customers who made purchases will be emailed the details directly. They’re also closing their music hub. I loved the Readers Hub app on my 10.1 tab. It was such a good ebook app if you just want to load all your books and simply read them. Today I was forced to download the Kindle for Samsung app, due to the Readers Hub app being discontinued, took 30-40mins. I had about 60 books loaded on Readers Hub. The new replacement app would not sync my books to the app. I am so angry. 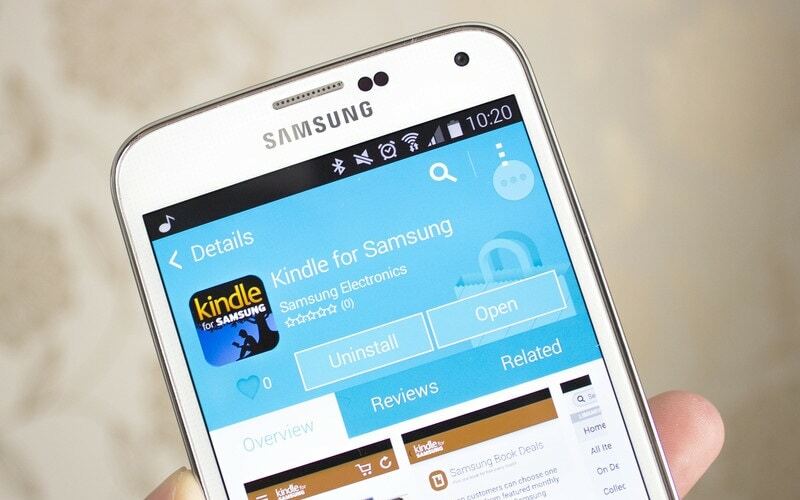 Why would Samsung do this considering there is a Kindle app available in their Play Store. Im very unhappy, I sincerely hope Samsung get tons and tons of complaints. Readers Hub as a great ebook app and to replace it with this garbage is unacceptable. NOT HAPPY!!!!!!!! In JMP’s post up the page from yours, he says “For all book purchases made in the last year through Readers Hub/Samsung Books, Samsung will give an Amazon gift card in the amount purchased (regardless if the content was read or not).” If you haven’t gotten an email from Samsung, you should contact them. Many times ebook stores close and you lose all your content and your money with no recourse available. Getting a gift card refund for all your purchases is a pretty good outcome, IMHO. Ridiculous. All books are gone. When I reloaded some books from the laptop, there is no way to get this kindle-thingy to integrate them. Hardly the best way to get customers. Kindle is gone and I’ll find a different app somehow. I get that you’re frustrated but did you not read anything upthread? If you don’t have an email from Samsung, contact them for the details on how to get access to the gift card they are apparently offering to compensate you for the loss of the books. You can use the gift card to repurchase the books that will work on the kindle app. Yes, I read what others wrote. And yes, I am frustrated. How exactly is the stupid coupon going to help with re-establishing a reader I was very happy with? How exactly is Amazon going to offer me books when they change languages on me all the time and offer me only books in a language I don’t speak? How is that stupid coupon worth anything? It’s a band aid for an amputated leg. And contacting Samsung? You must be joking! HOW?!?! I don’t have a clue about what you mean with Amazon changing languages. Which country are you located in? The gift card is supposed to be for the amount you spent with Samsung regardless of whether you have read the book or not. You can use it to repurchase any of the books you haven’t read or even the ones you have if you like. I think that’s a better deal than what most companies offer in these situations. In regards to contacting Samsung, maybe you could ask Nate nicely on how to reach JMP directly? It sounds like JMP knows what is going on and I expect that he/she would be able to assist. I’ve just spent some time in Germany and Poland. Now do you have a clue why Amazon is changing languages? No, so what’s the use of the question? I am unable to buy books in English or Polish or French because I am locked into the Amazon.DE site as I was still in Germany on the 1st. I did not want that “better” deal. I was not asked and I would have changed something long ago. I still don’t get why they ditched the reader functionality. As it stands I will never in my life buy another e-book. It’s a waste of money, if you are merely borrowing a book for a limited time span and suddenly at a whim can’t refer back to it. What is JMP? I am disgusted with Samsung for doing this. This whole thing is a lesson for me. I am happy to donate for apps or functions I use. But I will never pay for additional stuff up front that I can’t control. I contacted Samsung support, hope they can help me. They should. I mean, you just can’t mess with your customers data like this! Hah… customer support says I’ll have to mark the lines that sprung out for me at the time I was reading those ebooks again in Kindle. Rrrright… And that they are sorry for the inconvenience caused. And that they’re sooo happy to be of service. Which they’re not (being of service, that is). Also, the Kindle app doesn’t even seem to support the import of PDF files! This sounds as a very, really, stupid move. If already the decision to shut down the Readers Hub is plainly horrible, to make things even worst there is the total absence of support for the switch. What about the data? Fortunately I only used books uploaded on the device, so I have a copy of everyone of them (and by the way they can be found in the Readers Hub folder) I don’t know how frustrating must be for the ones who bought something. What about the “real” data, the one I generated for every book: highlights, notes, bookmarks etc? I suppose there is no way to access that data, and this sounds as the worst thing a software supplier can offer. I really hope that behind the project and the various decisions there is only a poor newbie that worked alone and away from every sign of civilization, this is the only option that make sense to me. Besides I’m almost sure that I didn’t received any message from Samsung about this change, but at the same time I think that they would have not provide any kind of tool or functionality to save and backup my data… not big difference at the end. So thank you for letting me lose important stuff, I always appreciate this kind of behavior… next time I would like my device to blow up, so I will be 100% sure that you care about me.